Please send us the name and number to be engraved while placing your order. 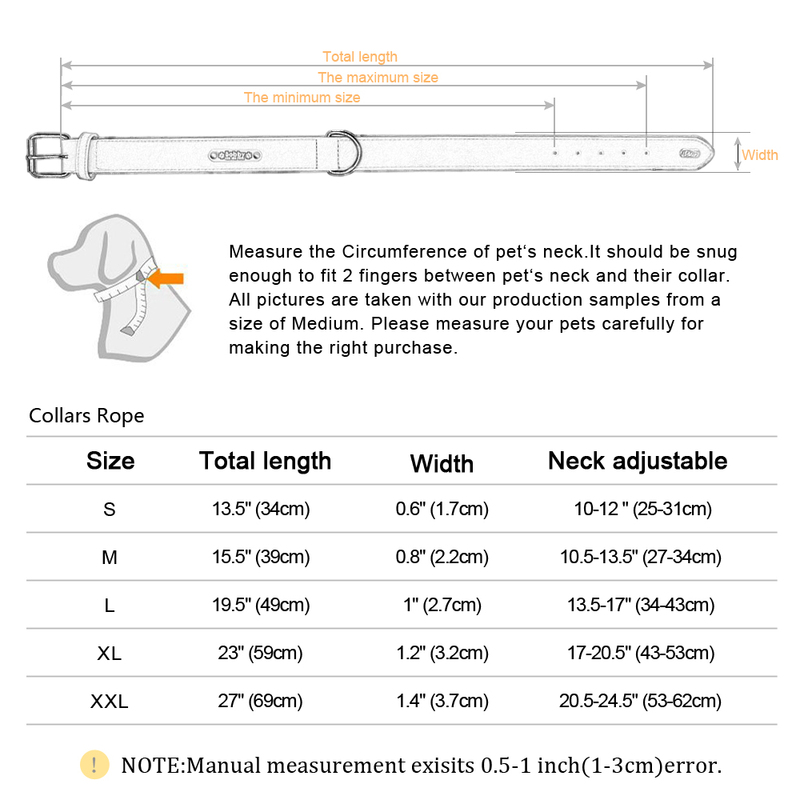 Each pet collar is made out of a high-quality leather with precise stitching, making it ultra-durable. It’s also finished clean and smooth, making it comfortable and stylish on your pet. This leather is the real deal, beautiful and colored. The leather pet collar may be somewhat stiff when you first receive it, but it becomes more supple the longer your pet wears it. The Wetag™ Personalized Pet Collar comes in 5 beautiful colors. The Wetag™ Personalized Pet Collar has an engraved nameplate that is built onto the collar, making it easy for humans to read your pet’s contact information – no close encounters necessary! With a personalized nameplate, you no longer have to suffer with the annoying jingle jangling of hanging pet tags and you don’t have to worry about your pet losing their information when they play. Every pet collar name plate is laser engraved to the highest quality and precision and will not wear off. We guarantee it for the life of your pet.